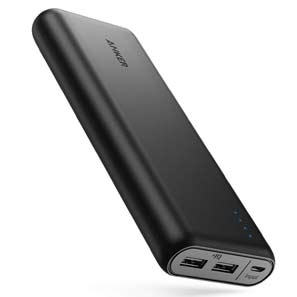 Buy a Fantastic Portable Power Bank at a Great Price! With a PowerBee Charger, Never Worry about Your Phone Running out of Power Again, with Battery Backup built in, our Portable Chargers will Power Your Phone back up in No Time at All. with Dual USB Ports technology You can Charge Your Ipad or Tablet at the same time as Your Phone, whether you are on the Go, in the Car, Train, on Holiday or a Festival..
Our Battery Powered Chargers are Power Bank's, that can be Charged Via USB. Providing You with a very easy way to Top Up the Charger. Ensuring You Always Have Power All the Time. The Powerbee Phone Charger Range, are the Best Chargers that we can source. PowerBee helped shape this field, and our battery chargers have been extensively tested in the UK. Our innovative range provides battery backup power to your phone, when you need it. We have specifically designed them to be rugged and dependable, allowing the modern day person, to really enjoy the freedom of travel, whilst never having to worry about your phone or handheld running out of battery power. If you're interested in turning environmentally friendly, our chargers can help you achieve your goal. Solar Powered Chargers are now being used by Government Organisations to contributor to economic growth in rural communities, around the world, and are now a mainstream product. As well as our charger products, here at PowerBee you will also find a competitive range of related products, with everything from solar powered phone charger and solar fountains to solar panels and solar kits PowerBee is your one stop shop for all your solar lights needs.